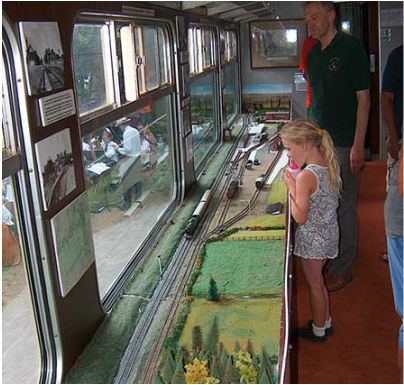 ​The Railway Carriage Museum is located alongside the Booking Hall Café and platform at Rayne Station. The Carriage Museum has been provided by the Friends of the Flitch Way for the enjoyment and benefit of the local community and for visitors to the Flitch Way. 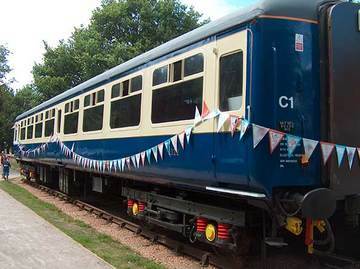 ​There is no charge to visit the carriage but donations help towards maintenance costs and are very much appreciated. During summer months and particularly during school holidays, the carriage may also be open on other days during the week. ​To avoid disappointment please contact us on info@flitchwayfriends.org.uk to check availability in school holidays before making a special journey. When open to visitors, the carriage has to be manned by volunteer stewards, consequently it can only open when a volunteer steward is available. ​Please note the Booking Hall Café has no control over availability of volunteers and has no responsibility for opening and closing the carriage. ​The Carriage Museum ​was officially opened on 25 July 2014 by Mrs Sue Wilson, Chairman of Braintree District Council following a successful fundraising campaign to raise £26,500 generously helped by the Big Society Fund, Stansted Airport Community Trust and Greenfields. ​​The Carriage was built in Derby in 1968 and is a Mark 2A TSO (Tourist Second Open). This model of carriage was the prototype for the first trains used on the Inter-City service. It was bought by the Friends in 2013 and converted to a museum and seating area. 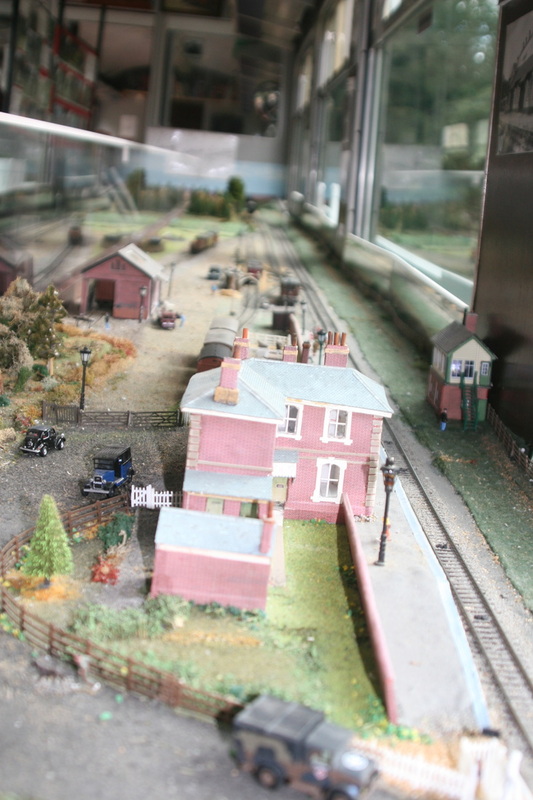 The museum contains a working model of Rayne station and surrounding area as it would have been around 1944-45. ​A variety of railway artefacts and photographs can also be seen together with photographs and information on the Flitch Way and the range of work done by the Friends’ volunteers. A range of DVDs on steam railways in the UK and across the world can also be viewed. ​The model locomotives would all have been used on the branch line with the exception of the German-built Railbus which was mainly used on the Witham to Maldon line from 1958 to 1963 (now forming the Blackwater Rail Trail). The tracks were removed between 1972 and 1974 and although the main station buildings at Rayne survive and are now Grade 2 listed the lamp shed with the tall chimney was demolished in the 1990’s due to it being in a dangerous condition. ​The Scout Hall alongside the platform was built on the site of the goods shed and the signal box suffered fire damage and was initially removed to East Anglian Railway Museum at Chappel from where it was passed on to another Heritage railway. Only the foundations of the old signal box remain and in its place there is now a wildflower bed, created by the volunteers in 2012. The cattle dock remains, however, and can be seen behind the platform wall. 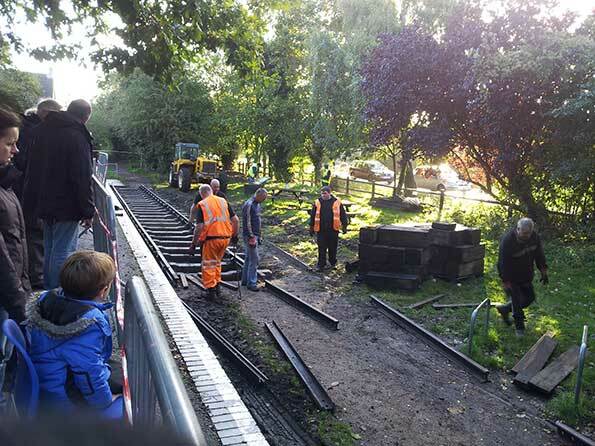 ​​Learn more about how a carriage came to stand once again alongside Rayne Station.